I have long warned that Iran was a greater world threat than Iraq, and that before we worried about Iraq's potential for weapons of mass destruction, the Free World needed to be concerned about Iran's potential for nuclear weapons, as well as the repressive nature of the regime there. We now learn that Iranian President Mahmoud Ahmadinejad believes in a certain strain of Islamic eschatology that says that a 12th Shi'a Imam would return before the end of time. This Imam is the Mahdi, considered by both Shiites and Sunni Muslims to be the ultimate saviour of humanity. Mr. Mahmoud apparently believes that the Mahdi can only return if he is brought back to lead a mighty army to defeat infidels. Ahmadinejad believes it is his job to bring about this final battle. Oh joy! Many people may not realize this, but Iran has a pretty sizable Christian community. Iran also has many Jews who are ethnic Persians or who are partly of Hebrew origin left over from the days of the Babylonian Captivity. There are also small numbers of Zoroastrians remaining from pre-Islamic and pre-Christian times. The Iranian Parliament has approved a law that now requires Christians, Jews, and Zoroastrians to each dress in distinctive clothing to distinguish them from the rest of the population. This is a country developing nuclear weapons, leaders that want to bring about the end of the world, and now they are "marking" religious minorities. The last time the world dealt with a regime like that, there was a World War. Bob Corker was on WVLZ this morning-I didn't call in because I didn't really have the time and Lloyd Dougherty and JP pretty much had the floor. Lloyd raised the concern that some people, particularly in Middle Tennessee, are out to personally demonize Corker. Let me say that I don't know Lloyd well, we've only talked on the phone by way of me calling into his live show on The Voice a couple of times, and I corresponded briefly with him via e-mail-but based on what I know about the man, I think Lloyd is a good conservative and a good human being. He tried to remind folks that this shouldn't be a personal attack against Corker, but should be about Corker's record. He also said he was neither for nor against Corker (he has not made an endorsement in the Senate Primary that I know of). My criticisms of Bob Corker's record are not intended to be a personal attack on Corker (or his Mama), they are intended to bring things to light and to call things like I see and hear them. This morning on the radio, Bob Corker did one of the most clever duck-and-cover jobs I have ever heard on a radio show. A caller (JP) questioned Corker about the increase in Chattanooga's taxes and about the how the budget was nearly 12% larger when he left office than when he entered. Corker tried to say that he had no choice but to raise taxes when he entered office because of the state of the budget. "Houdini would have had to raise taxes," Corker said. Okay, I hate tax increases, but for the sake of argument, I'll give Corker the benefit of the doubt. Just because taxes needed to be increased when Corker came to city hall in order to make ends meet (and even then, it should have been as tiny an increase as possible) does not mean that the size of the budget had to be increased by 12% by the time he left office. Corker failed to explain why that had to happen. Bob Corker told us in this radio appearance how pro-life he is, and how his views have changed because of life experience. I hope that is true and I welcome converts to the movement who come to see from experience the importance of protecting human life. What Corker does not seem to understand is that all we have to go by is what he has said in the past, his previous words and actions. Ed Bryant has been faithful to the pro-life cause from the first and that is why he got Tennessee Right to Life's endorsement, and that is why many conservatives believe they can trust Bryant. Birds of a feather flock together. Yes, the Haslam family tends to support the Republican nominee in races, and Corker raised the point that they supported Van Hilleary against Phil Bredesen. What Corker did not point out is that the Haslams have also given money to Bredesen, they will give money to whoever they think will benefit them. A lot of us don't trust the Haslams (or the people they give money to) because the Haslams are not conservatives, and Mayor Bill Haslam does not govern like one. His goal is power, and a lot of us believe his goal is the Governor's mansion-not for us, but for himself. The Haslams do not care about conservatism as an ideology, only about the winning office and increasing their own power. Corker either doesn't understand these suspicions, or he shares the "power" philosophy as opposed to a philosophy of advancing the Cause with his service. I am a Republican, it is true. I am a Republican, though, because I am a conservative, not the other way around. I don't play up other candidates just because they are Republicans, I have to believe in what that candidate is doing, and the things that candidate stands for. Jimmy Naifeh has said that Bob Corker "is a Democrat deep down inside." Jimmy Naifeh's brand of Democrat is not exactly Harry Flood Byrd-nobody can say Jimmy Naifeh is a fiscal or social conservative, as many of the old Southern Democrats were. If Jimmy Naifeh thinks you would make a good Democrat, that is never a good sign. Corker understands, as do most people, that the people you associate with often determine people's opinion of you for good or ill. Considering who Bob Corker has associated with, does he really wonder why many conservatives don't trust him? I'm not going to get into all of the reasons why The Da Vinci Code is evil, wicked, and the work of the Devil. I will not discuss why it is I'll never watch another Tom Hanks movie, or attend another film directed by Ron Howard. I won't bother explaining why it is that I am very near the point of saying that I will never see another Hollywood movie. You've probably heard a lot of that in the rest of the conservative or Christian press. I will say that it says a lot to me that this film has gotten reviews ranging from the unflattering to the awful at Cannes. Cannes film reviewers are not necessarily known to be friendly to Christianity or Christians, and the modern French have a hatred for the Church that dates back to the Revolt of 1789. If the Cannes critics are doing the Church (or all Christians in general) a favor, it is purely unintentional. Yet they tell us this is a pretty bad film. If the news reports are to be believed, there were hisses and catcalls at the movie's Cannes screening, and no applause at the end-something that is customary to give to nearly all films at the festival. I will not see the film in the theaters, nor will I rent it at the video store, but will wait until Lawson-McGhee Library has it and check it out. What this tells us is that Hollywood has an agenda beyond merely making films-many in Hollywood are out to trample on Christianity because they have decided that they don’t like it for whatever reason. You don’t see major Hollywood studios and directors out to make films that depict Islam or the Prophet Muhammed in a negative light. There is no move to make a film which try to discredit the Dalai Lama. 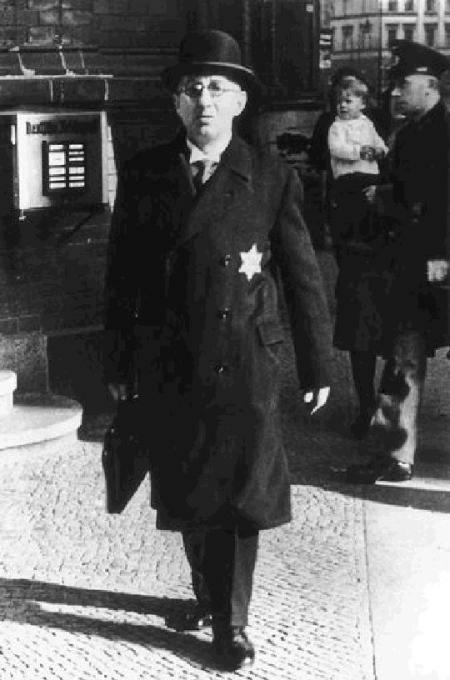 Try and make a film to trash Judaism and you’ll have the Anti-Defamation League of B’nai B’rith on your rear, the enforcers of political correctness on a grand scale. I don’t dispute the right of Dan Brown to write his book, of Ron Howard to make a film based on it, or Tom Hanks to play the lead in it. I even believe the film should be released, and the public should have the option to see the film if they so choose. What I see is a Hollywood double standard, however. Insulting Christianity and Christians is okay, but you won’t see Hollywood films that question other beliefs. Hollywood has a political and social agenda of its own-so much so, in fact, that Hollywood producers and directors will stoop to releasing critically terrible pieces of cinema so long as those works advance their own notions and ideas. Since I have done sports broadcasting in the past, I have really come to see that good radio sports broadcasting is a dying art, and that teams and programs don't often appreciate what they have until it is gone. Rumors have abounded since his departure that the great John Ward, the longtime "Voice of the Vols" was forced out at the the end of the 1998 season. Rather than voluntarily saying "It is time for me to go," it has been the talk of many folks in Tennessee sports circles that Ward was quietly told "it is time for you to go." Ward didn't really want to go, but UT made him-the University has never admitted to this and probably never will. No offense to Bob Kessling-I really think he is a fine broadcaster, but if you've ever heard John Ward, or even heard old tapes of John Ward, Bob Kessling sounds like a kid at a high school community access station by comparison. If true, Ward wouldn't be the first famous sportscasting voice to have been told to take a hike because they were too old. The Reds made a big to-do over the retirement of Joe Nuxhall a couple of years back-I was even at Great American Ballpark on Joe Nuxhall night, and still have my Joe Nuxhall bobblehead. Only later did we learn from Nuxhall's own lips that he didn't want to go, he was forced out. The "gossip" is that the Reds' organization wanted to do the same to Marty Brennaman, but as a former Cincinnati resident I can verify that what likely saved Marty from a similar fate is the fact that he holds a status in that city only slightly lower than Christ. I'm not against new, young talent in the arena of sports radio. However, what I have often found is that a lot of these younger men who replace the legends from the era of the radio broadcast of products of the TV (ESPN) sports explosion of the late 80's and 90's, and they cut their broadcasting teeth in television in many cases. I can tell you from experience that radio is different-it requires greater descriptive ability and a very fast mouth. You have to assume your listening audience can't see the game and isn't watching. We throw away the old boys who can teach the youngsters how its done as if they are old trash. As a result, we get younger radio broadcasters that just are not as good and may never achieve the legendary status of their predecessors. We need sports radio men who love radio and don't care much for television-it will make for a far better radio broadcast. 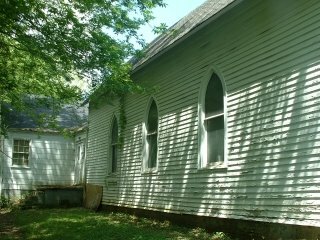 The Brothers of The Knoxville Council 645 of the Knights of Columbus will vote next month on whether or not to purchase property on Millertown Pike that was formerly the home of the Gospel Light Baptist Church to be our new Council Hall. Unfortunately for the congregation of Gospel Light, they are left with too few families to sustain a viable church group, so they want out from under the care of the property. Fortunately for us, this beautiful property came our way and the offer we've made has been accepted by the trustees of the congregation. Now we have to vote officially on financing arrangements. As you can see, it is quite a holy setting for our twice-monthly meetings. The sign will also remain. If financing is ratified the first week of June, we'll change the sign to reflect that the property is now in the service of the Knights of Columbus. (Note the belfry!) I have it on good word that Bishop Kurtz himself may attend the dedication of the new facilities, though I do not know if this is actually going to be the case yet. Clearly some work needs to be done here, and we estimate it will cost around $20,000 to renovate the church and the adjoining buildings. Much of the work that needs to be done are things that need to be done anyway, like a new paint job, as can be seen here, or updating the insulation and inner brick reinforcements, which you can't see. 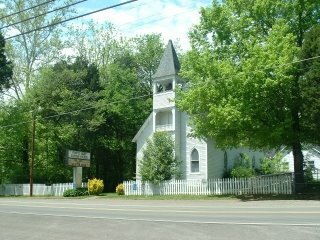 This is the rear of the church itself and a view of an addition made in the 1940's in the right of the picture. That addition os one of the parts of the property in need of significant repair. 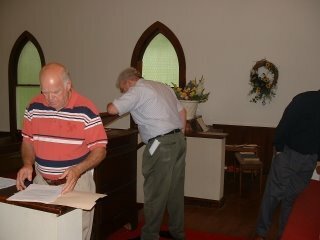 Some members of our Knights of Columbus inspection team check out the inside of the church. Grand Knight Jack McCusker is the fellow in the center with his back to the camera inspecting a lecturn. 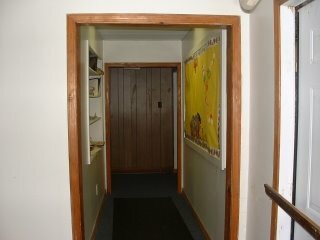 This hallway leads from the church area to the back additions. 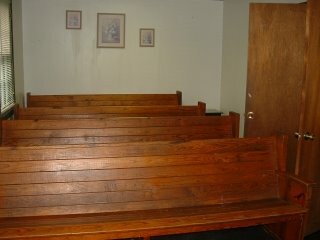 When they are renovated and restored, we'll likely be having regular meetings in these additions. This meeting and kitchen area may be the future site of regular meetings. There are other rooms in these additions that can serve as a lounge and game room (one probably will be), or a childcare facility. 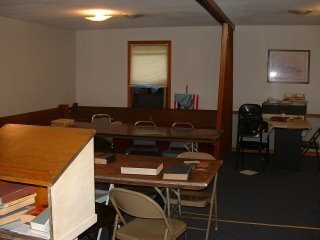 This is an example of a meeting room in one of the additions that seats around 25 people. 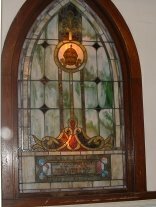 The original alter window of the church which recognizes the people who built it is still there. The church was originally built as a Lutheran church and the names of the church's German founders and their birth dates (Leipzig 1812) can be found there. The Council is going to try and have the property designated as a historic place so that it can never be destroyed or claimed by use of eminent domain. Not only is such a move important to preserve such an important historical landmark, I'd say it would be our little strike at Kelo. 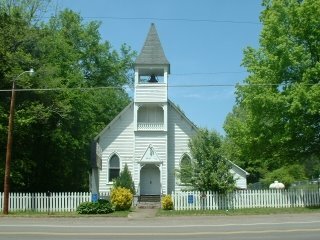 The reason we would need to do this is that when we take control of the property, it may lose its tax-exempt status (to my knowledge, Tennessee does not have an exemption for fraternal halls the way many other States do) because even though the Knights are a part of the Catholic Church, the Knights nor the Home Association which will be responsible for the property have tax exemptions, since the K of C sells insurance as an option to members. The members of Gospel Light can rest easy, however, that the church and the connected buildings will continue to be used for holy purposes. Prayer services and other appropriate religious observances will continue to be held there. Obviously, I hate it that the Knights are benefiting from the decline of a spiritual family. However, I can't think of a better group of people to entrust with such a historic place. -Be in Nashville when the legislature convenes-if you’re a good legislator you’ll be there for every vote. -Travel to and from Nashville when the legislature is in session and come home on the weekends-this is often the best chance you’ll have to meet with constituents. 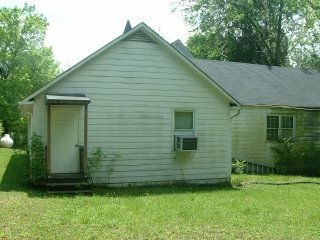 -Since the legislature is in session 5-6 months out of the year (January to May or January to June) it behooves you to get an apartment (or at least a cheap motel room) in Nashville. Ladies and gentlemen, if you live in Nashville or visit there often, you know that Nashville isn’t cheap, especially having to pay Davidson County sales taxes whenever you eat out, not to mention the grocery store. Knowing how legislative bodies tend to function, there’ll be a lot of steaks, Whoppers, and Big Macs. -Since the legislature sits nearly half the year, but does not (and should not) sit the rest of the time, we are asking someone who wants to serve our State in this way to interrupt their normal pattern of life for six months, put aside normal job and family obligations, and go up to Nashville and live there four days a week for six months while they conduct the business of the State and people of Tennessee. If a part-time citizen-legislature is what we want and desire (and it should be), then we need to make this worth doing for the average citizen. They already have enough on their plate trying to raise money to run a campaign, so why double those worries by making them wonder how they’ll feed their families while they serve? What we have now is not a citizen-legislature. Most legislators don’t take a vow of poverty, but have the independent means to be able to interrupt their lives in this way. For many, they’ve made a career of being in politics and simply use their wealth as a means to continue their public lives. They can afford the six month interruption and the meager pay-the average citizen simply cannot. I’m not saying that people with means shouldn’t be involved in public life-far from it. Even if there was systemic change in how we compensate our legislators, the majority would be men and women of some means, and that’s fine. That has always been the case in politics, and will continue to be the case until the Second Coming. However, having a part-time citizen-legislature means that the opportunity should be there for Joe Sixpack to be a part of the legislature, too. A modest increase in compensation can help Joe Sixpack to know that if he can raise the campaign money and get elected, he can serve with the peace of mind to know he can provide for his family. I think it is fine for people who have wealth to spend it in the public interest-I can’t think of a better way to spend your money. People who aren’t as well-to-do-perhaps they own a small business, work in an office or a factory, or till the land-these people should also be able to serve the people of Tennessee in public life. We need to see how we can help make that possible, because I think we might be surprised at the sudden changes in affairs in our State that might occur with a few more ordinary folks in the General Assembly. Great job today David...you need your own show! You have a good radio voice--and of course, you're very informed. First of all, I really appreciate Terry asking me to fill-in. I know she's a busy lady and I apologize for having to wait so late to give her the official "yes" answer. She surmised that I would enjoy doing the show, which I did. I also appreciate Lee's warm hospitality. As far as my needing my own show, I have felt that way for a very long time. I don't know for sure, but I suspect I may the only host (guest or otherwise) of Tennessee Confidential with prior radio experience. I miss being on the air regularly, and my wife will tell you that I think about being on the air, or what would or would not sound good on the air, all the time. I'd love to do radio occupationally, I have a real passion for it. Radio is, however, one of the most competative fields that I know of. Just when you think you sound great, there is always someone who has more practice than you and who sounds worlds better. Finding a paid gig is extremely difficult-I know, I've looked for one in four different cities, Knoxville included (though I never put in for anything at the Voice, though I don't think they have any open slots, even non-on-air personnel). I enjoy it so much, to quote Shoeless Joe Jackson in Field of Dreams, "I'd have played for food money," or I'd do what I did yesterday, I'd go on the air just to be there. Who knows, perhaps one day I'll have my own show. Until then, I sure don't mind filling in for others, and I especially don't mind writing this blog-writing is the other thing I have a passion for. The President's speech last night was pretty much what I expected to hear, though not what I had hoped to hear. In the wake of the speech, I feel the need first to clarify my own position on this important issue (which I believe is the position of most conservatives) and then say what it is we should have heard. I have utterly no problem whatsoever with people from Mexico and Latin America coming to the United States. People of Mexican and other Latin American decent have contributed to the American melting pot in indescribable ways (I think anyone around here will tell you that the best Mexican restaurants in town are not Taco Bell locations, but are owned and wholly run by folks originally from Mexico-that's just one very obvious example), and many Mexican-American people were here before the Southwest as we know it became part of the United States. Many Tejano people distinguished themselves in the fight for the Republic of Texas and proved to be among our country's most loyal and patriotic citizens when Texas and the other Southwestern States joined the Union. However, those people abided by the law of the time in the areas of their lives the change in sovereignty affected, and when our ancestors came to this country, they also did so according to the immigration laws that existed at that time. We ask nothing less of these newcomers then to abide by the law as so many other immigrants have done. What we heard from the President last night did not necessarily give us that outcome. Putting the National Guard on the border wouldn't be such a bad idea if the Guard weren't stretched so thin in Iraq and Afghanistan-I hardly think 5,000 troops is enough men. Beyond that, what the President proposes to do with the undocumented illegals who are here is amnesty, whether he chooses to call it that or not. There is no real punishment for being in this country illegally under the President's latest proposal; it is just a harder slap on the wrist than the illegal aliens were given before.I am pleased that apparently, if this proposal should pass, there will be greater border enforcement-with the old policy of dumping caught illegals into American society, never to make their court date and never to be seen again coming to an end. However, if this proposal should pass there will not be significant penalties on those illegal aliens who remain in this country and fail to report themselves as illegals. I think if you are here illegally and you come forward and voluntarily report yourself, you should receive the heavy slap on the wrist the President described last night. If you fail to report yourself and are found, you should be held in jail until your court date, prosecuted to the fullest extent of the law, and then departed to your country of origin. In using this method, we can encourage people to report themselves and avoid the greater punishment, and reward their honesty and willingness to respect our laws. There are many reasons we should protect our border, but we often forget that letting in so many illegal immigrants is not only opening ourselves to a greater terrorist threat, but we are helping to fulfill the goals of the militant La Raza movement, whose goal is to use immigration as the tool to reclaim the Southwest for Mexico. Does that sound a bit far-fetched to you? It doesn’t to members of MEChA, one of the premier groups behind the movement, whose motto is “For La Raza todo. Fuera de La Raza nada." Translated it means "For The Race everything. Outside The Race, nothing." Perhaps MEChA sounds like a fringe group to you, I know they would to me under normal circumstances. However, if you think MEChA is some small fringe group of high school punks, think again. It is a major national organization with chapters at some of our largest universities. Since many pro-American groups have discovered MEChA’s true intentions, MEChA is now changing their motto and even the story of their existence in order to gain wider acceptance. There is no move to investigate MEChA or what the organization truly proclaims and practices, even though it smacks of treason, largely because any attempt to do so would likely get the government labeled as racist by the National Council of La Raza. Do I think that all immigrants from Mexico or Latin America are part of some secret plot to reclaim the Southwest for Mexico? Of course not-such a blanket accusation is ridiculous on its face. However, we are blind if we do not believe that there are those who are encouraging illegal immigration with that purpose in mind, or that there are those among the illegals who share that mentality. They may be a minority, but they are a significant one because they have tremendous influence within Latino circles in the United States. When we accept and embrace newcomers to America, we must do so with the understanding that they came here the right way, and that their first and only loyalty will be with the United States of America. This afternoon I will be the guest host of Tennessee Confidential on 1180 AM The Voice of the South. I'll be filling in for Terry Frank, who is off today. Lee Frank (Terry's husband) will be joining me in the studio. The President's speech tonight: Is this sudden attempt to "do something" about immigration an election year stunt designed to cater to those of us in the GOP base who want something done? Will we hear substance from the President, or is this a symbolic gesture? Will a few thousand National Guardmen be enough, or do we need more comprehensive legislative action? Our so-called "eminent domain bill" which has passed the State Senate 31-0, and how it has absolutely no teeth. What can we do to demand greater action on this important issue? (Note that amendments have been silenced). Prognosis for the national situation per the General Election (House, Senate, Governor's race). "Does some of the partisan rhetoric need to be toned down, do the blogs need to be toned down...?" Blogging has become such an important medium that it warrants mention on Meet the Press as one of the many things that the political soft-types in this country think needs to be "toned down." What bloggers and blogs (on both sides of the spectrum) are doing is to democratize the media and the press, putting news gathering, reporting, and commentary in the hands of the people themselves, and as we have seen in the Tennessee blogosphere, in the hands of those making the news. Do weblogs have spin? Of course, many of us do have our own views and our blogs reflect that. If you read a variety of blogs (not just those that agree with you) you can get a variety of takes on the news. Weblogs give the news back to the people to give us a more populist view of news, and even to make news with their blogs. As computers in America become more affordable, and more people who don't have computers in their homes gain internet access through schools, libraries, and public terminals, more Americans won't just read blogs, they'll create more of them as well. The mainstream media doesn't like competition, and I suspect the arrival of the blog as a media form is just an itch they don't know how to scratch. I have long said that the real goal of the pro-abortion movement is not to help the poor and disadvantaged, as they so often tell us, but to eliminate the poor and the disadvantaged. Their goal is to abort them, contracept them, and wipe them out. The militant pro-abortion movement are the new proponents of the "master race" theory. If it was up to some of these people, I would never have been born. "No, I’m not advocating some sort of mass extinction of these unfortunate people. Crime, drugs and disease are already doing that. The problem is that their numbers are not only replaced but increased by the birth of millions of babies to people who can’t afford to have babies." With every day that passes, I thank the Lord I am not as one of these people. Statements like this reveal the agenda of the so-called "pro-choice" movement, and make me all the more thankful. I pray for them, to tell you the truth. They need more than just a change of political belief, but a true reform of their hearts. Those of you who have been duped into thinking yourselves "pro-choice," note that those who so militantly advocate for legalized abortion do so not because of choice, but because they only want life to be lived according to their perameters. Norma McCorvey is the woman who was Jane Roe. Today, she runs a ministry and advocacy group called Roe No More. She is part of the Church, and she has dedicated the remainder of her life to exposing to others the lies and misrepresentations of the abortion movement. She wants to make sure that all Americans are not duped by the true agenda of this movement that is so dangerous to our society.